The band resurfaces on the contesting stage in 1979, now as Richmond Band. From this time until it’s dissolution in 1983 the band seems to have been very active though received mixed contest results at lower grades. 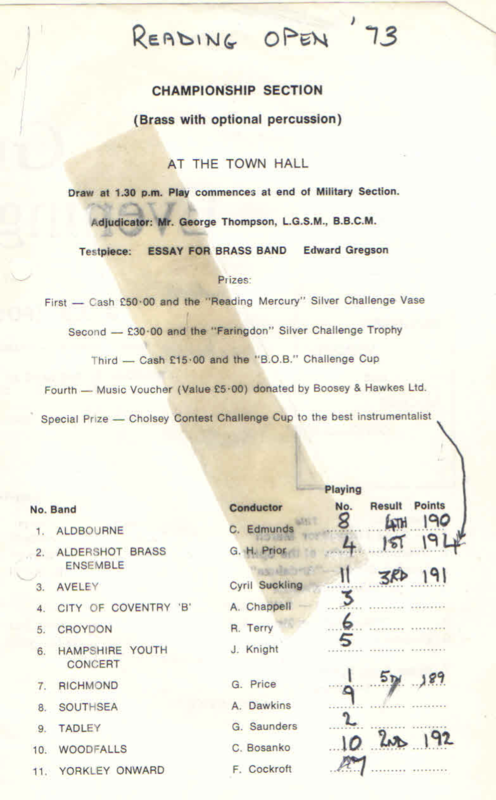 Now lead by famous London Symphony Orchestra trumpeter and Guildhall professor, Malcolm Smith, the band rehearsed in Teddington on Sundays and still had a youth ensemble associated with it.